The house in Germany: although we’ve packed up and left it, it hasn’t left us. I love my new environs in Florida, for all of the reasons this place inspires love: the dolphins I’ve watched in the past week; the great horned owl who graces our backyard; the glistening bay, beach, and boat docks that I walk to with my dog every evening. But the interminable summer is a little frustrating for a girl who loves four seasons. So today, I give you this wistful image– the old house in Germany in a tinted Halloween mashup. Old, creaky, spooky, beautiful . . . and autumnal. Hope you’re not affected by the hurricane! Thanks. We are toward the west on the Gulf, so we are unaffected. The east coast is in full retreat, the highways bumper to bumper–and not only in Florida, but up through South Carolina around Charleston. Matthew looks like a real bear–it’s a worry. Thanks for your thoughts. What a brilliant old house! I can’t imagine living somewhere that doesn’t have seasons, it must feel weird! Yes, thank goodness, there are pumpkins to be had–very nearly the only visual cue that autumn’s here. Did you carve that exquisitely creepy pumpkin? Yes, we did– it was a fun project. 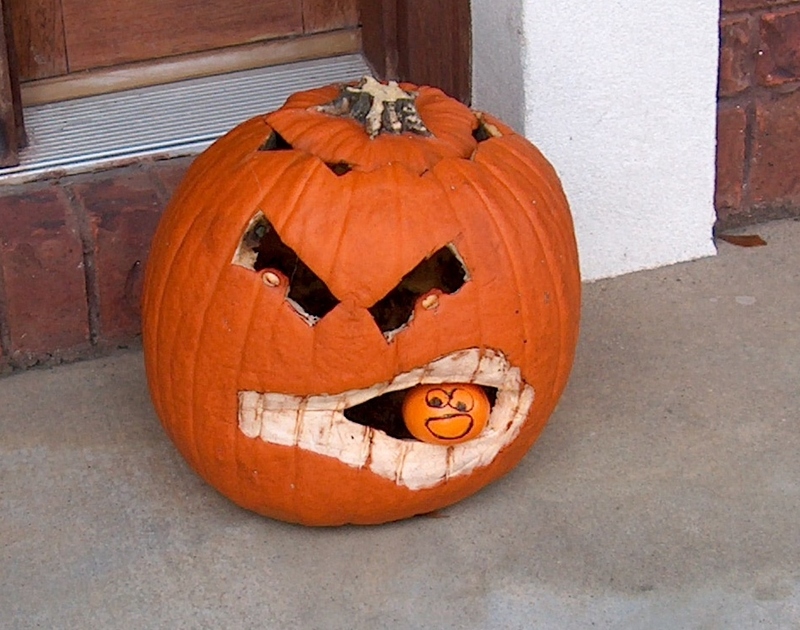 But I’ll have to admit the idea came from a jack-o-lantern that we saw online and we played the copycats. These are great and that pumpkin is very clever! Thanks! My kids loved making that pumpkin. 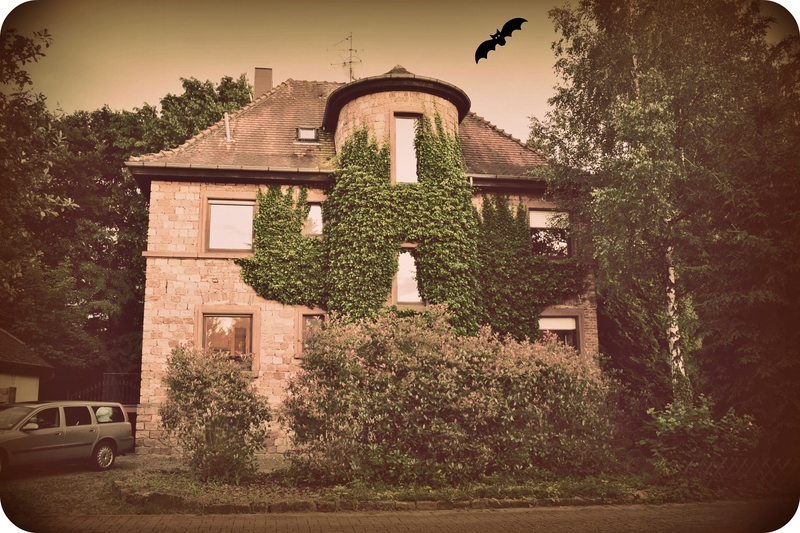 Oooh, your house in Germany does look good and creepy, especially with that little ‘shopped in bat! I definitely don’t think I could live somewhere like Florida; I love fall so much! The only thing I’d enjoy about hot weather is getting to wear flip flops all the time; I don’t know why, but I really hate wearing socks! Socks are definitely not needed in Florida! I have to say that our corner of Florida is beautiful, but I do miss seasons terribly.